The wall is a rule of thumb used1 by the USSA to guide how much separation we should create in the average Giant Slalom turn, throughout the turn and the principle says that you should attempt to maintain a "wall" or a plane with the shoulders, knees and boots, so that the hips and shoulders shuffle forward an amount equal with the boots. 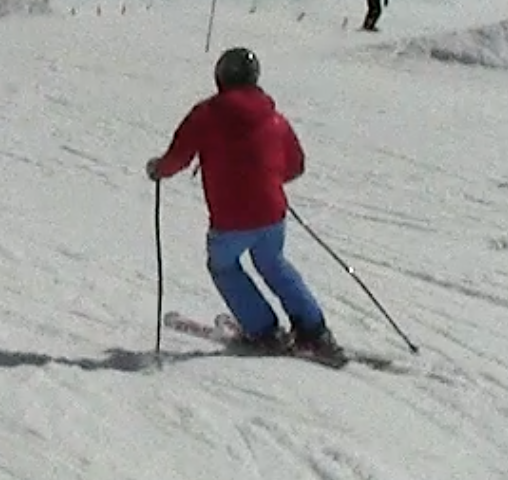 The main idea behind the wall is that the inside foot will have to shuffle as we tip the skis on edge more and create vertical separation++, see tip lead. This is because the boots force us to maintain somewhat equal ankle flexion and it's something you can easily replicate at home: in tightly buckled ski boots, lift one of the feet on a small chair or step, so that the upper boot is about at the knee level. You will notice that the boot will have to shuffle forward to maintain the same ankle flexion and the reason is the cuff, which will push on the tibia. Member-only content avilable (448 words). As you can see above, the amount of counteracting varies from turn to turn, depending on tactics and recovery needs (the counter in the turn above was exaggerated in order to recover from a lack of angulation earlier). The wall, while a coaching tool and rule of thumb for some type of turns, is somewhat at odds with the notions of coiling and developing torque between the lower and upper body by separation. 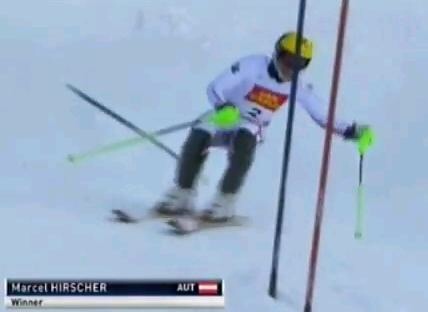 Ski racing is much more dynamic than any static guideline or position and each turn may require more or less coiling, this is why we prefer to focus on movements rather than geometric proportions or poses. Viewed 480 times ( | Print ) this page.